Yesterday Citrix Synergy started of with the Keynote, the master of presentation Mark Templeton was on stage delivering his message. He is a master in delivering the message and despite the 5K remark he did an amazing job. I’m sure many out in the field look to him as their tutor. We had high hopes that Citrix would regain some leadership during Synergy and so the Keynote was super important to get the message out. I haven’t seen the magic yet, there were announcements like the acquisition of Sanbolic Melic that is awesome and offers unbelievable number of IOPS to customers, 5000 per virtual machine for the VDI edition. (Mark forgot to say it was per VM so we thought he was living in 2008 still 🙂 ).. enough for the jokes, its great that IOPS isn’t a concern anymore with this solution. 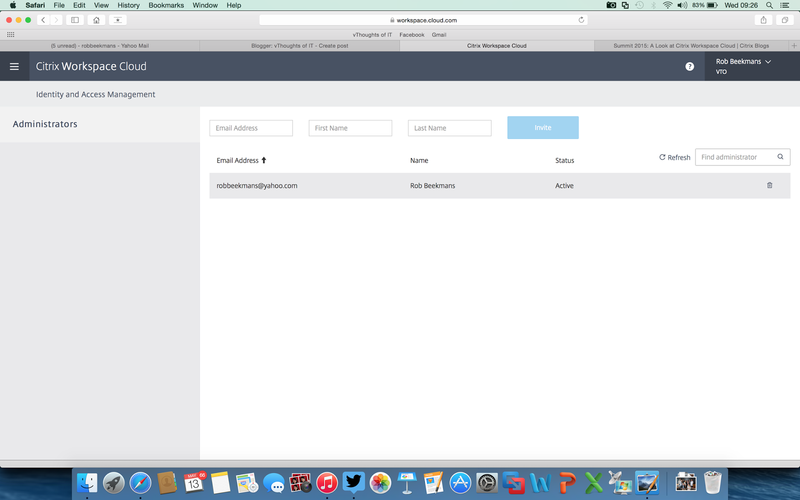 The next big thing announced, beside extended support for XenApp 6.5, is Workspace cloud. 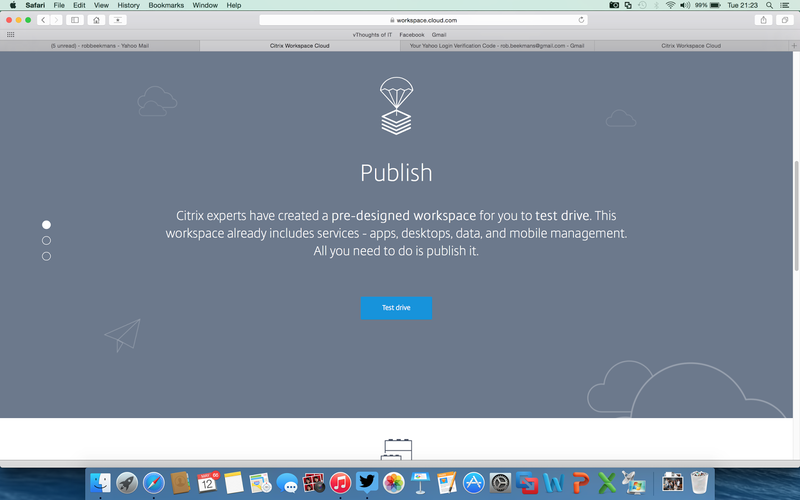 You have access to test workspace cloud, so I did. It’s a one per partner or customer access account so that was a bit tricky, but I got in. 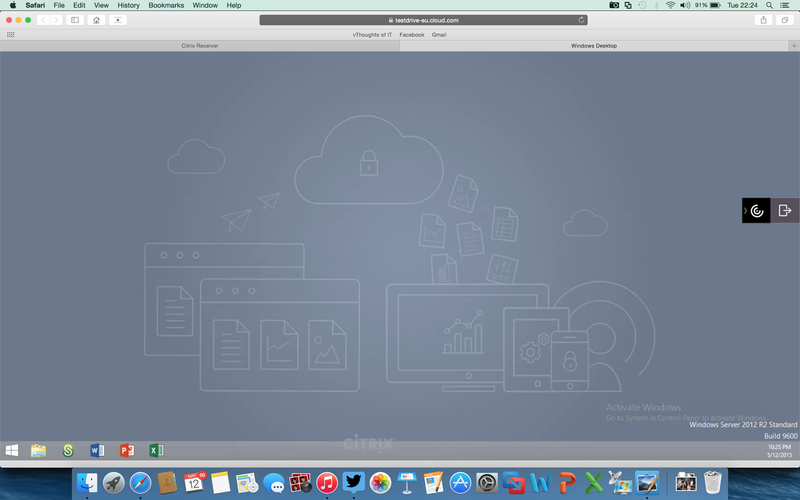 To get access visit : https://workspace.cloud.com you will need to create an account but that’s quick and then you’re in. So let’s login and see what they bring us, uh hold on… let’s first look at the architecture for that might shed some light on things before we move on. 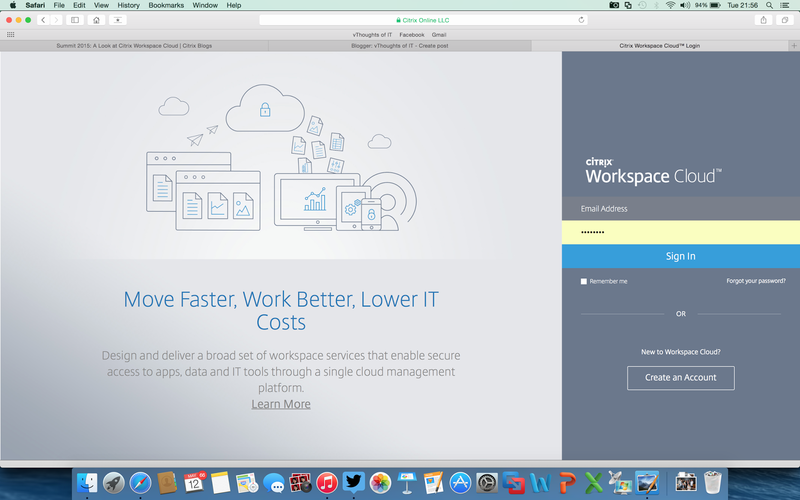 There are two option here, the backend of the Workspace Cloud is always running in the cloud hence the name. If you decide to run on-premises you are responsible for managing the desktops or servers. The biggest pain in a project is getting the applications to work properly, the get UEM implemented and to design a secure environment for data access. If you go for an all cloud solution you will need to think about your data, where is it stored and how do you access it. I think this works for education scenarios but not for the regular factory. Time will tell. i think many will opt for the on-premises solution, interested in the limits there, if any. So let’s dig in.. as far as we can.. 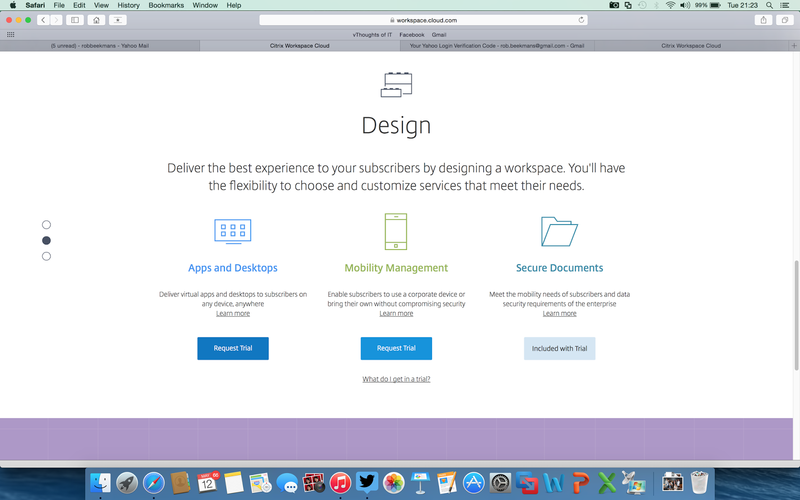 The First screen you see is where you have a choice to publish instantly, design or be the architect. 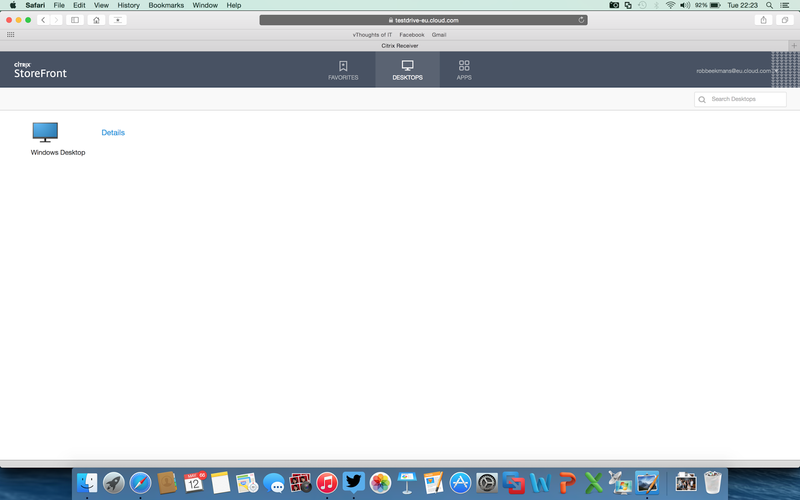 Let’s click on Publish first and see if we can get a cloud environment up in seconds. This is the second option, run in completely in the cloud, there is nothing running in your datacenter. You are taken to the Publish part and there is a button “Test drive”.. well if they want me to. To make sure you are connected on a low latency connection you are asked what region you’re from. This might also have to do with data protection policies of the EU. I of course entered old Europe and continued. Next up is the the kind of resource you’re looking for. You have a couple of options there. It’s not like you have to choose here, you are eligible to all of them. You just have to assign or entitle user to access the resources. 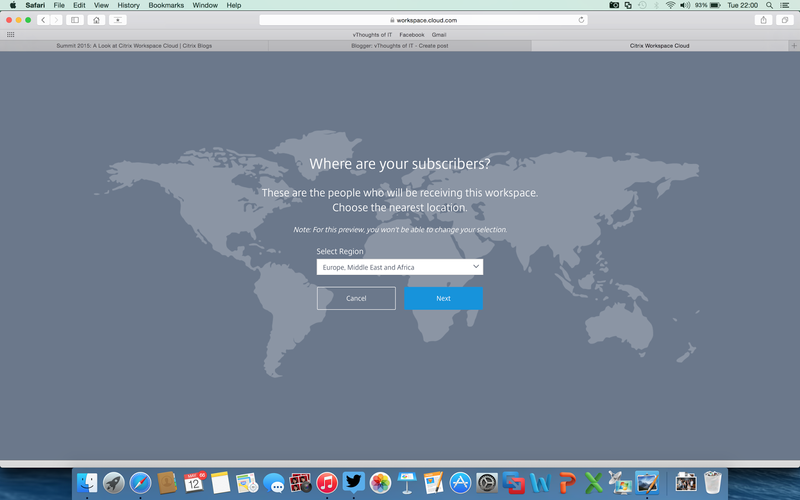 In this test drive you can subscribe 5 people to test Workspace. Well I assigned myself, yeah that is selfish but my wife and kids weren’t interested in testing, can you imagine.. this is happening now, you gotta test it. So I logged on with the address I just subscribed, you get an E-mail to confirm the your subscription. So there is the desktop I’m assigned to, if there were more desktops for me they would show up here. Let’s try and see if the desktop works as expected. 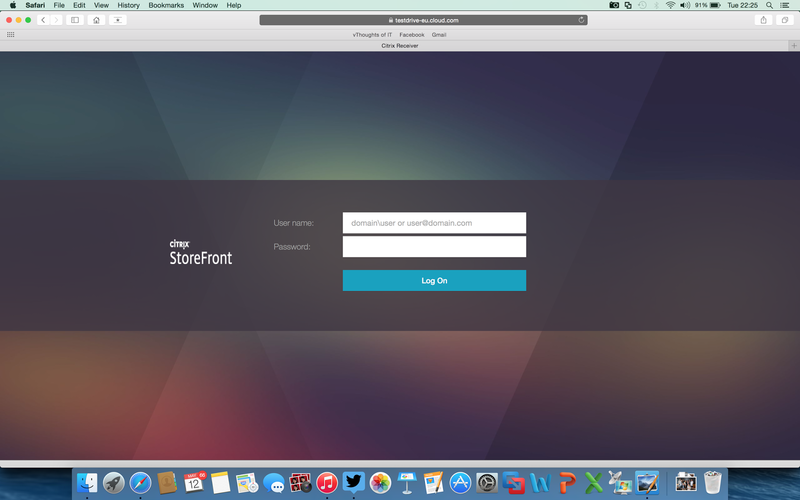 ..and there it is, my personal desktop a Citrix XenApp desktop in the cloud. Logon was pretty fast and flawless so nothing wrong there. Of course the biggest issue is the data location after you work in a cloud only environment. I prefer an on-premises solution because many of my customers are not really eager to store data in the cloud I hear. The other options are not available for me right now, I requested a trial for the other options. So there will be another blog once I got access and depending on if I need something on-premises. Management of the users can be done through the menu, you can invite users (up to 5) from here. In a production environment you of course won’t have a limit here. 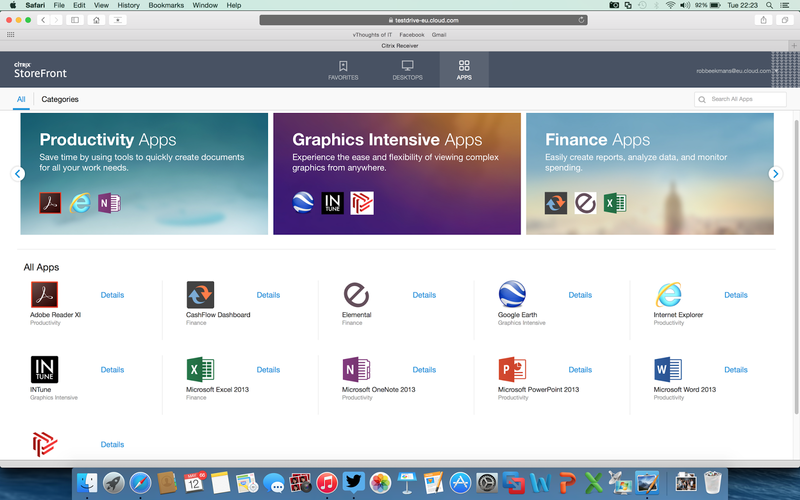 Citrix has done a good job creating the workspace cloud, it works swift and is easy to handle. The one console to do management is easy to access and walk around in. Because all the management servers are ran in the cloud you get a different experience, you don’t know and need to know what is happening in the back. For customers, some of them, this might be a solution as long as things go well. 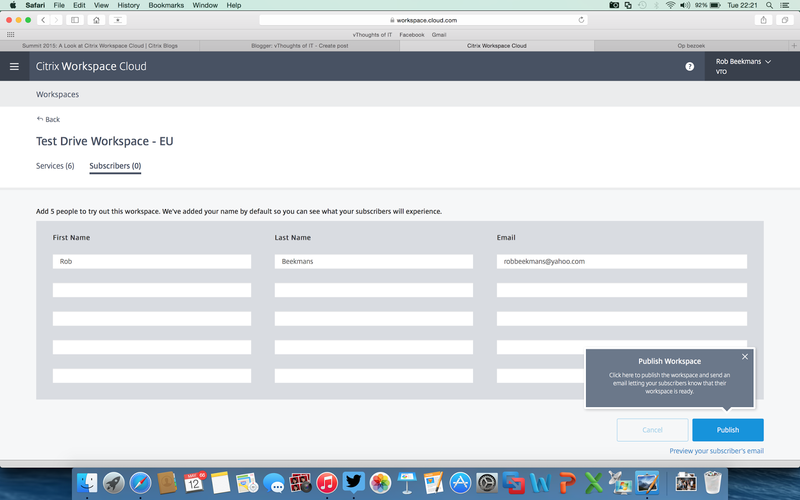 For us consultants it looks like a a lot of work is lost, if Citrix offers the backend and we just have to click to get a desktop the only job is to add applications, setup UEM and make sure data is secure. I hope you have an idea now from what they offer, it was a quick tour but there will be more from me or others in the web. Stay tuned and learn. What I’m wondering about, not at Synergy and not online 24/7, is if it is possible to add your own UEM product in the cloud solution. 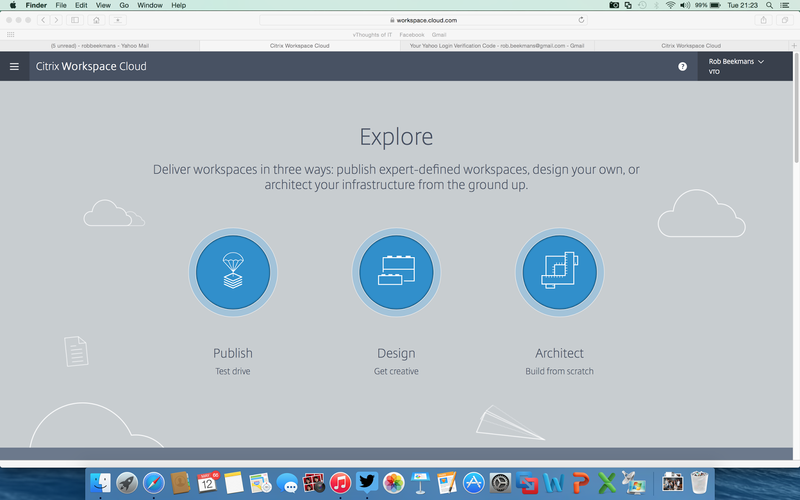 Citrix lacks any useful UEM solution so to manage the user environment you would need a third party one like RES Workspace Manager, Appsense or VMware UEM.